This is a fun way to make shopping for your special little one simple…fun…and giggly! Invite your friends/family to purchase these items – they get 10% off – Yay! If the bucket gets emptied, your child also gets a $20 gift card!! Yaaaay! How to guarantee your child’s birthday is everything he/she wants. Bring them to Giggles’ Birthday Bucket Bunch. Stop in two weeks before their birthday and ask them to pick out 5 to 10 toys they like. We will place these toys in a bucket with their name on it. Tell your friends and family to come to Giggles and select from the bucket. We offer a 10% discount for all gifts purchased from the bucket! If the bucket is empty before the big day Giggles will give your child a $20 gift card so they can come back and pick out something else to make them giggle. 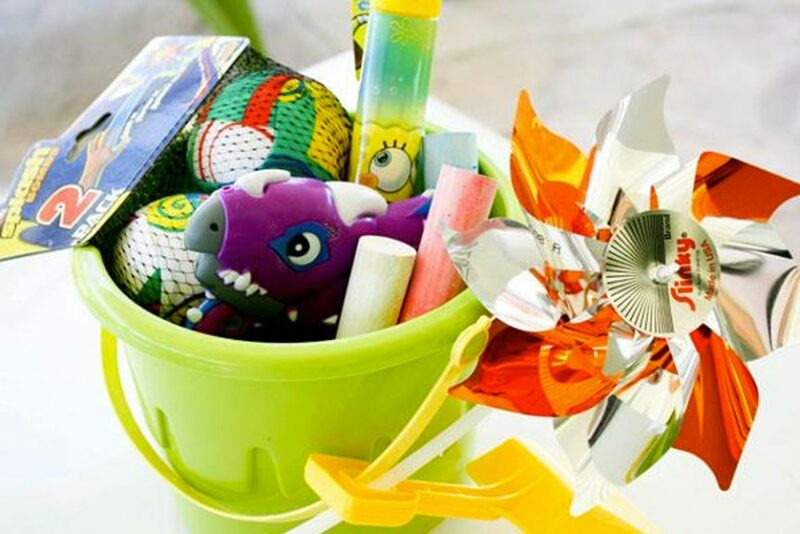 If the bucket isn’t empty by the big day, we simply put these items back on the shelf for some other little boy or girl to enjoy. It’s that easy, it’s that fun! It’s sure to make them giggle! Happy Birthday from all of us here at Giggles!